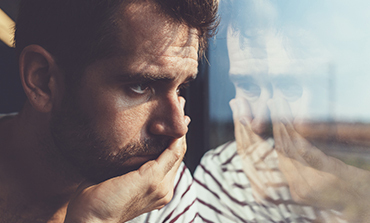 When feeling low persists or recurs and is not related to a difficult life event, it may be a depression linked to an imbalance in neurotransmitter activity for which antidepressants can be very effective. Therefore we recommend you seek medical treatment for any persistent depression symptoms. While for many people antidepressants are very effective there is a significant group who experience residual symptoms. In an open-label clinical trial with long-term depression patients, NeuroSpark® was added to existing regimes for 8 weeks with clinical measures made before and after. 54% of these patients showed a significant positive response and 45% were measured as ‘in remission’ from their depression1. Adding NeuroSpark® to your diet may provide additional relief from residual depressive symptoms. depression I would recommend that they try them for a while and see for themselves. If there is no change then you can stop taking them knowing that the product is natural and healthy. Where there is a possibility of feeling better it is worth trying. Since adding NeuroSpark with the antidepressants my depression symptoms have been less. I ran out some weeks ago and notice the difference, as does my wife. I reckon the NeuroSpark really helps..